What aspect of digital photo editing are looking for? Use the search box on the right or you can ask me directly. Using just a little digital photo editing can make a dramatic difference in the impact your photos have. Which one do you think is the best edit? Look at this cute portrait of the young boy above. The original photo is on the left. The editing that was done on the middle photo was simply using a brightening tool. The editing on the pose on the right was a bit more complex. I used Adobe Photoshop and first created a second duplicate layer. I adjusted the brightness and contrast of that new layer and then revealed only the adjustments to his face. That preserved the brightness of his clothing and his hat from the original photograph. The final editing touch was a little darkening of the edges of photo. You can turn bad looking photos into good photos and you can make good photos into great photos. One of the great advantages of shooting digital instead of shooting film is the many ways we can improve the photo before we print it or share it with friends and family. Even professional portrait photographers like myself make photo mistakes. Under or over exposure. Underexposure is the most common mistake that needs editing. To learn how go to Underexposed Photo Help. In the photo above, all of the light tones "fooled" the camera's automatic metering and was underexposed. Camera sensors are programmed to give you a good exposure for average subjects. I used Adobe Photoshop to do the photo editing and added 1 f-stop of exposure to the photo on the right. Setting your camera on a "beach scene" mode, if available, works because it instructs the camera to compensate for all of those light tones in the compostion. Bad color tint. Have you ever taken a digital photo and when you take a look at it, the color is very strange, unflattering or just wrong? Cameras are programmed to give a good average color tint for the average subject. Sometimes when the subject is not typical, the camera does a poor job adjusting the color or tint. Our human eyes do an amazing job of adjusting to different lighting without us even knowing it. Fortunately with digital photographing we can fix photos with bad color 2 different ways. First, it may be possible to avoid bad color by using a different camera setting. Secondly, we can do some digital photo editing. Picasa is a free program that you can download from www.Picasa.com. Click the link to watch the demo video first to see how powerful it is. Within the program you can do an "Auto Color" as one of its basic fixes. For more exacting control , there is a slider control for color temperature in the "Tuning" section. And finally you can get creative with your photo editing in the "Effects" section with tinting, black and white conversion and sepia toning. In the photo on the right,I could not get any closer to the primate with my camera, so I used the crop tool in Photoshop. Notice I eliminated the distracting blue blob and simplified the photo. The primate is the main subject and cropping closer show it better and still has a background that looks appropriate. I used a blurring retouching tool called Gaussian Blur, combined with some darkening and "cloning" in Adobe Photoshop to do the photo retouch in this photo of the two girls. Blurring and darkening just the background makes them stand out and the photo's background is less distracting. The best way to get rid of the red eye is to avoid it in the first place. There are a few ways to this explained on the Mistakes to Avoid Page. One of the most common kinds of digital photo editing is the removal of red-eye. Almost all digital photo editing software now comes with a button dedicated just to red eye removal. Usually you just set the size of the retouching brush to match the size of the red eye reflection. The tool then changes the color from reddish and mutes it or "desaturates" it to look more natural. It is always better to learn to take better digital picture first. Even professional photographers make common photo mistakes occasionally. I know that I do too. Digital photography has opened up a world of opportunity for the amateur as well as the seasoned pro. Digital Photo Editing Tips. Use these 3 digital photo editing tips before you consider what photo editing software to use. Creative Photo Techniques. This is the first article in a series on creative photography tips that involves using digital photo editing software to make multi-exposure photos. Photography Rule of Thirds. How you can use the rule of thirds and crop when you do your photo editing. This article has sample photographs to show you how to use this rule and improve your photography composition. 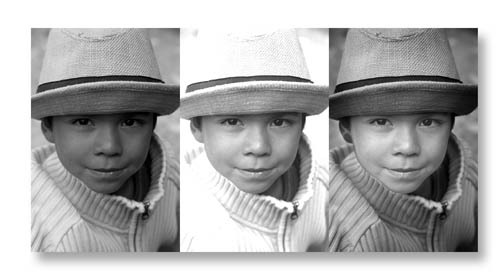 Photo Editing Tips Here are the 5 most important photo editing steps to take. Digital Photo Software Reviews. There are countless reviews of photography software. Here are a few of the most popular programs. Enjoy shooting and editing your digital photography, but remember if you learn to Take Better Digital Pictures to start with, there is less time-consuming photo editing to do later. If you enjoyed these digital photo editing tips, share them with someone you care about. Happy Shooting! TIP: If you buy photo editing software, try to buy the version that comes with the software disk.